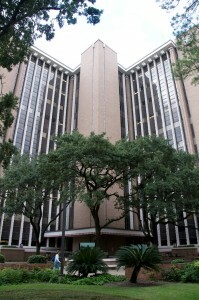 UTHealth School of Public Health is comprised of four departments covering the core areas of public health. Biostatistics focuses on the study of statistical, mathematical, and computer methods applied to the biological and health sciences. Epidemiology, Human Genetics and Environmental Sciences includes a broad group of sciences that involve several areas of public health. These disciplines range from locating and characterizing genes underlying chronic disease to examining environmental exposures and related disease outcomes in vulnerable populations. Health Promotion and Behavioral Sciences seeks to improve problems of human disease and disability through changes in lifestyle behaviors and aspects of the social environment. Management, Policy and Community Health provides instruction in fields such as health economics, health policy, health law, health management and administration and public health leadership.